The beauty of fairy lights is that they can take any form you wish them to. Rather than just being available in standard, predictable patterns, we can make custom patterns to best show off the space that you are using. It is also the versatility of the light itself that can change your theme right up – the lights can be turned on and off when you need them. 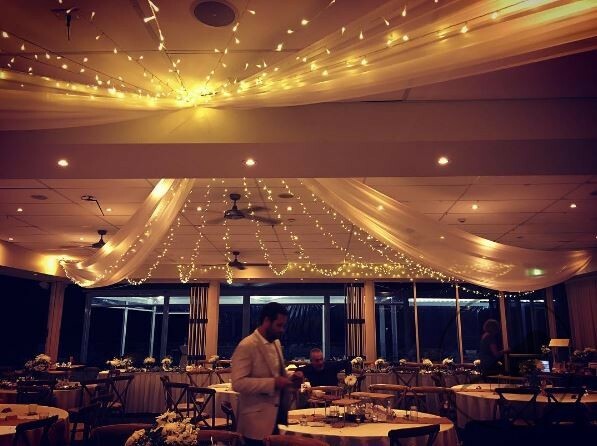 Even having chiffon draped from the ceiling with lights is an amazing way to make a whole room glow and feel special. 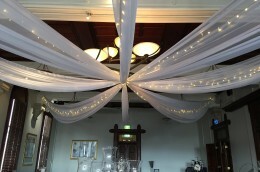 This chiffon can additionally be used to obscure as much or as little light as you want from the fairy lights. This is why they excel as wedding receptions decorations, so using them for your Sydney wedding is an excellent way to make your reception even more special. If you’d like to find out more about how fairy lights can transform your event, we’re always available to talk. You can use our online contact form or ring us on 02 9982 6705 to speak to one of our friendly, knowledgeable staff members. 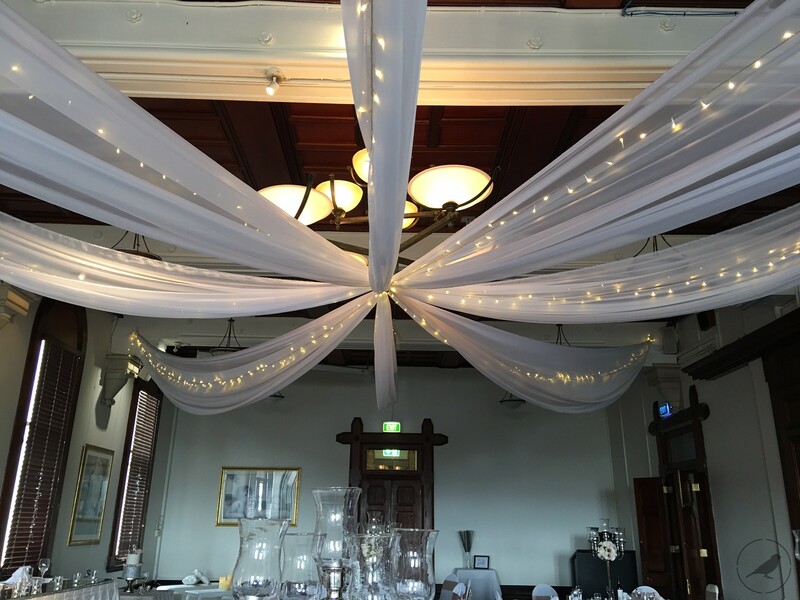 Bespoke Social also offer other excellent event wedding reception decorations and theming for hire, so make sure to check out our catalogue. We look forward to making your next event memorable!